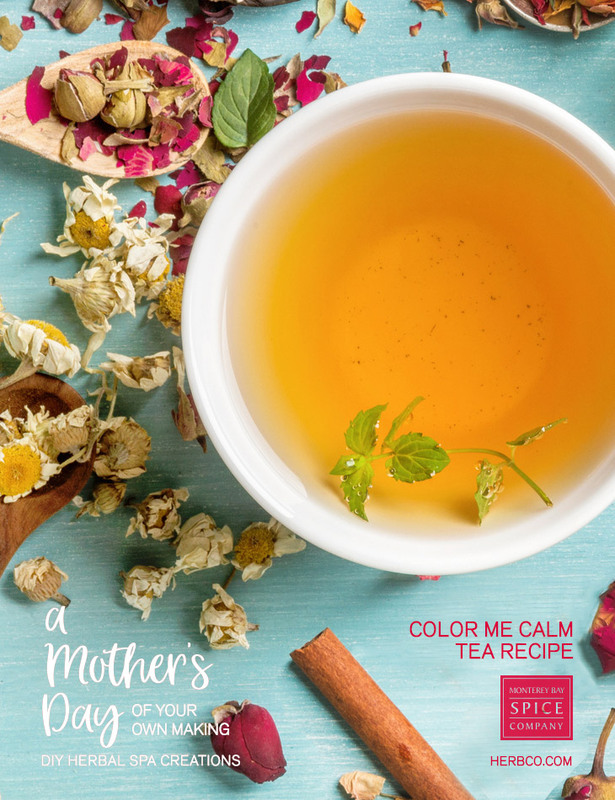 This mom-tested and mother-approved tea is sure to calm frazzled nerves at the end of a hectic day. It’s loaded with nutrients and antioxidants, too, plus floral and spicy notes with a hint of citrus to please the palate. Tip: Package this gift in a glass jar decorated with ribbon with a heart-shaped tea ball attached! Combine all ingredients in a bowl and mix to blend. Scoop into a glass jar or tin with lid and label. To use, fill a tea ball with tea and steep in 1 cup hot water for 2-3 minutes. Sweeten with honey, if you wish. *Omit these herbs if pregnant or nursing. Substitute rose hips.